Les soldes sont finies depuis un moment mais la biblio du mois de l’AJAR Paris régale encore ce mois-ci ! L’ambiance du mois, c’est de la générosité avec des articles en duo (indispensables à discuter) sur le choc septique et sur les solutés de remplissage. Mais ne manquez pas le reste également avec de l’infectieux, de la fonction diaphragmatique et de très belles revues dont une sur la cardiomyopathie septique & les méta-analyses ! – Prédire la mortalité d’un sepsis par le Machine Learning ? – Prédire les outcomes d’un trauma par le Machine Learning ? –> Oui l’Intelligence Artificielle est déjà en Anesthésie-Réanimation ! Répondez et Partagez notre questionnaire (lien ci-dessous) avant la clôture et avant d’être dépassés ! – Pour Hydrocortisone + Fludrocortisone ? Septic shock is characterized by dysregulation of the host response to infection, with circulatory, cellular, and metabolic abnormalities. We hypothesized that therapy with hydrocortisone plus fludrocortisone or with drotrecogin alfa (activated), which can modulate the host response, would improve the clinical outcomes of patients with septic shock. In this multicenter, double-blind, randomized trial with a 2-by-2 factorial design, we evaluated the effect of hydrocortisone-plus-fludrocortisone therapy, drotrecogin alfa (activated), the combination of the three drugs, or their respective placebos. The primary outcome was 90-day all-cause mortality. Secondary outcomes included mortality at intensive care unit (ICU) discharge and hospital discharge and at day 28 and day 180 and the number of days alive and free of vasopressors, mechanical ventilation, or organ failure. After drotrecogin alfa (activated) was withdrawn from the market, the trial continued with a two-group parallel design. The analysis compared patients who received hydrocortisone plus fludrocortisone with those who did not (placebo group). Among the 1241 patients included in the trial, the 90-day mortality was 43.0% (264 of 614 patients) in the hydrocortisone-plus-fludrocortisone group and 49.1% (308 of 627 patients) in the placebo group (P=0.03). The relative risk of death in the hydrocortisone-plus-fludrocortisone group was 0.88 (95% confidence interval, 0.78 to 0.99). Mortality was significantly lower in the hydrocortisone-plus-fludrocortisone group than in the placebo group at ICU discharge (35.4% vs. 41.0%, P=0.04), hospital discharge (39.0% vs. 45.3%, P=0.02), and day 180 (46.6% vs. 52.5%, P=0.04) but not at day 28 (33.7% and 38.9%, respectively; P=0.06). The number of vasopressor-free days to day 28 was significantly higher in the hydrocortisone-plus-fludrocortisone group than in the placebo group (17 vs. 15 days, P<0.001), as was the number of organ-failure–free days (14 vs. 12 days, P=0.003). The number of ventilator-free days was similar in the two groups (11 days in the hydrocortisone-plus-fludrocortisone group and 10 in the placebo group, P=0.07). The rate of serious adverse events did not differ significantly between the two groups, but hyperglycemia was more common in hydrocortisone-plus-fludrocortisone group. In this trial involving patients with septic shock, 90-day all-cause mortality was lower among those who received hydrocortisone plus fludrocortisone than among those who received placebo. Whether hydrocortisone reduces mortality among patients with septic shock is unclear. We randomly assigned patients with septic shock who were undergoing mechanical ventilation to receive hydrocortisone (at a dose of 200 mg per day) or placebo for 7 days or until death or discharge from the intensive care unit (ICU), whichever came first. The primary outcome was death from any cause at 90 days. From March 2013 through April 2017, a total of 3800 patients underwent randomization. Status with respect to the primary outcome was ascertained in 3658 patients (1832 of whom had been assigned to the hydrocortisone group and 1826 to the placebo group). At 90 days, 511 patients (27.9%) in the hydrocortisone group and 526 (28.8%) in the placebo group had died (odds ratio, 0.95; 95% confidence interval [CI], 0.82 to 1.10; P=0.50). The effect of the trial regimen was similar in six prespecified subgroups. Patients who had been assigned to receive hydrocortisone had faster resolution of shock than those assigned to the placebo group (median duration, 3 days [interquartile range, 2 to 5] vs. 4 days [interquartile range, 2 to 9]; hazard ratio, 1.32; 95% CI, 1.23 to 1.41; P<0.001). Patients in the hydrocortisone group had a shorter duration of the initial episode of mechanical ventilation than those in the placebo group (median, 6 days [interquartile range, 3 to 18] vs. 7 days [interquartile range, 3 to 24]; hazard ratio, 1.13; 95% CI, 1.05 to 1.22; P<0.001), but taking into account episodes of recurrence of ventilation, there were no significant differences in the number of days alive and free from mechanical ventilation. Fewer patients in the hydrocortisone group than in the placebo group received a blood transfusion (37.0% vs. 41.7%; odds ratio, 0.82; 95% CI, 0.72 to 0.94; P=0.004). There were no significant between-group differences with respect to mortality at 28 days, the rate of recurrence of shock, the number of days alive and out of the ICU, the number of days alive and out of the hospital, the recurrence of mechanical ventilation, the rate of renal-replacement therapy, and the incidence of new-onset bacteremia or fungemia. Among patients with septic shock undergoing mechanical ventilation, a continuous infusion of hydrocortisone did not result in lower 90-day mortality than placebo. – chez les patients en réanimation : Oui ? Both balanced crystalloids and saline are used for intravenous fluid administration in critically ill adults, but it is not known which results in better clinical outcomes. In a pragmatic, cluster-randomized, multiple-crossover trial conducted in five intensive care units at an academic center, we assigned 15,802 adults to receive saline (0.9% sodium chloride) or balanced crystalloids (lactated Ringer’s solution or Plasma-Lyte A) according to the randomization of the unit to which they were admitted. The primary outcome was a major adverse kidney event within 30 days — a composite of death from any cause, new renal-replacement therapy, or persistent renal dysfunction (defined as an elevation of the creatinine level to ≥200% of baseline) — all censored at hospital discharge or 30 days, whichever occurred first. Among the 7942 patients in the balanced-crystalloids group, 1139 (14.3%) had a major adverse kidney event, as compared with 1211 of 7860 patients (15.4%) in the saline group (marginal odds ratio, 0.91; 95% confidence interval [CI], 0.84 to 0.99; conditional odds ratio, 0.90; 95% CI, 0.82 to 0.99; P=0.04). In-hospital mortality at 30 days was 10.3% in the balanced-crystalloids group and 11.1% in the saline group (P=0.06). The incidence of new renal-replacement therapy was 2.5% and 2.9%, respectively (P=0.08), and the incidence of persistent renal dysfunction was 6.4% and 6.6%, respectively (P=0.60). Among critically ill adults, the use of balanced crystalloids for intravenous fluid administration resulted in a lower rate of the composite outcome of death from any cause, new renal-replacement therapy, or persistent renal dysfunction than the use of saline. Comparative clinical effects of balanced crystalloids and saline are uncertain, particularly in noncritically ill patients cared for outside an intensive care unit (ICU). We conducted a single-center, pragmatic, multiple-crossover trial comparing balanced crystalloids (lactated Ringer’s solution or Plasma-Lyte A) with saline among adults who were treated with intravenous crystalloids in the emergency department and were subsequently hospitalized outside an ICU. The type of crystalloid that was administered in the emergency department was assigned to each patient on the basis of calendar month, with the entire emergency department crossing over between balanced crystalloids and saline monthly during the 16-month trial. The primary outcome was hospital-free days (days alive after discharge before day 28). Secondary outcomes included major adverse kidney events within 30 days — a composite of death from any cause, new renal-replacement therapy, or persistent renal dysfunction (defined as an elevation of the creatinine level to ≥200% of baseline) — all censored at hospital discharge or 30 days, whichever occurred first. A total of 13,347 patients were enrolled, with a median crystalloid volume administered in the emergency department of 1079 ml and 88.3% of the patients exclusively receiving the assigned crystalloid. The number of hospital-free days did not differ between the balanced-crystalloids and saline groups (median, 25 days in each group; adjusted odds ratio with balanced crystalloids, 0.98; 95% confidence interval [CI], 0.92 to 1.04; P=0.41). Balanced crystalloids resulted in a lower incidence of major adverse kidney events within 30 days than saline (4.7% vs. 5.6%; adjusted odds ratio, 0.82; 95% CI, 0.70 to 0.95; P=0.01). Among noncritically ill adults treated with intravenous fluids in the emergency department, there was no difference in hospital-free days between treatment with balanced crystalloids and treatment with saline. Optiflow pour les bronchiolites ? High-flow oxygen therapy through a nasal cannula has been increasingly used in infants with bronchiolitis, despite limited high-quality evidence of its efficacy. The efficacy of high-flow oxygen therapy through a nasal cannula in settings other than intensive care units (ICUs) is unclear. In this multicenter, randomized, controlled trial, we assigned infants younger than 12 months of age who had bronchiolitis and a need for supplemental oxygen therapy to receive either high-flow oxygen therapy (high-flow group) or standard oxygen therapy (standard-therapy group). Infants in the standard-therapy group could receive rescue high-flow oxygen therapy if their condition met criteria for treatment failure. The primary outcome was escalation of care due to treatment failure (defined as meeting ≥3 of 4 clinical criteria: persistent tachycardia, tachypnea, hypoxemia, and medical review triggered by a hospital early-warning tool). Secondary outcomes included duration of hospital stay, duration of oxygen therapy, and rates of transfer to a tertiary hospital, ICU admission, intubation, and adverse events. The analyses included 1472 patients. The percentage of infants receiving escalation of care was 12% (87 of 739 infants) in the high-flow group, as compared with 23% (167 of 733) in the standard-therapy group (risk difference, −11 percentage points; 95% confidence interval, −15 to −7; P<0.001). No significant differences were observed in the duration of hospital stay or the duration of oxygen therapy. In each group, one case of pneumothorax (<1% of infants) occurred. Among the 167 infants in the standard-therapy group who had treatment failure, 102 (61%) had a response to high-flow rescue therapy. Among infants with bronchiolitis who were treated outside an ICU, those who received high-flow oxygen therapy had significantly lower rates of escalation of care due to treatment failure than those in the group that received standard oxygen therapy. Numerous randomised trials have compared coronary artery bypass grafting (CABG) with percutaneous coronary intervention (PCI) for patients with coronary artery disease. However, no studies have been powered to detect a difference in mortality between the revascularisation strategies. We did a systematic review up to July 19, 2017, to identify randomised clinical trials comparing CABG with PCI using stents. Eligible studies included patients with multivessel or left main coronary artery disease who did not present with acute myocardial infarction, did PCI with stents (bare-metal or drug-eluting), and had more than 1 year of follow-up for all-cause mortality. In a collaborative, pooled analysis of individual patient data from the identified trials, we estimated all-cause mortality up to 5 years using Kaplan-Meier analyses and compared PCI with CABG using a random-effects Cox proportional-hazards model stratified by trial. Consistency of treatment effect was explored in subgroup analyses, with subgroups defined according to baseline clinical and anatomical characteristics. We included 11 randomised trials involving 11 518 patients selected by heart teams who were assigned to PCI (n=5753) or to CABG (n=5765). 976 patients died over a mean follow-up of 3·8 years (SD 1·4). Mean Synergy between PCI with Taxus and Cardiac Surgery (SYNTAX) score was 26·0 (SD 9·5), with 1798 (22·1%) of 8138 patients having a SYNTAX score of 33 or higher. 5 year all-cause mortality was 11·2% after PCI and 9·2% after CABG (hazard ratio [HR] 1·20, 95% CI 1·06–1·37; p=0·0038). 5 year all-cause mortality was significantly different between the interventions in patients with multivessel disease (11·5% after PCI vs 8·9% after CABG; HR 1·28, 95% CI 1·09–1·49; p=0·0019), including in those with diabetes (15·5% vs 10·0%; 1·48, 1·19–1·84; p=0·0004), but not in those without diabetes (8·7% vs 8·0%; 1·08, 0·86–1·36; p=0·49). SYNTAX score had a significant effect on the difference between the interventions in multivessel disease. 5 year all-cause mortality was similar between the interventions in patients with left main disease (10·7% after PCI vs 10·5% after CABG; 1·07, 0·87–1·33; p=0·52), regardless of diabetes status and SYNTAX score. CABG had a mortality benefit over PCI in patients with multivessel disease, particularly those with diabetes and higher coronary complexity. No benefit for CABG over PCI was seen in patients with left main disease. Longer follow-up is needed to better define mortality differences between the revascularisation strategies. Shortening the duration of antibiotic therapy (ABT) is a key measure in antimicrobial stewardship. The optimal duration of ABT for treatment of postoperative intra-abdominal infections (PIAI) in critically ill patients is unknown. A multicentre prospective randomised trial conducted in 21 French intensive care units (ICU) between May 2011 and February 2015 compared the efficacy and safety of 8-day versus 15-day antibiotic therapy in critically ill patients with PIAI. Among 410 eligible patients (adequate source control and ABT on day 0), 249 patients were randomly assigned on day 8 to either stop ABT immediately (n = 126) or to continue ABT until day 15 (n = 123). The primary endpoint was the number of antibiotic-free days between randomisation (day 8) and day 28. Secondary outcomes were death, ICU and hospital length of stay, emergence of multidrug-resistant (MDR) bacteria and reoperation rate, with 45-day follow-up. Patients treated for 8 days had a higher median number of antibiotic-free days than those treated for 15 days (15 [6–20] vs 12 [6–13] days, respectively; P < 0.0001) (Wilcoxon rank difference 4.99 days [95% CI 2.99–6.00; P < 0.0001). Equivalence was established in terms of 45-day mortality (rate difference 0.038, 95% CI − 0.013 to 0.061). Treatments did not differ in terms of ICU and hospital length of stay, emergence of MDR bacteria or reoperation rate, while subsequent drainages between day 8 and day 45 were observed following short-course ABT (P = 0.041). Short-course antibiotic therapy in critically ill ICU patients with PIAI reduces antibiotic exposure. Continuation of treatment until day 15 is not associated with any clinical benefit. 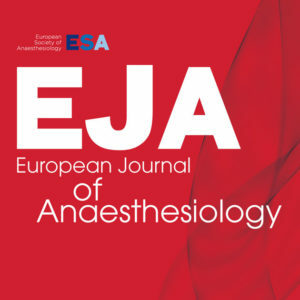 Background: Anesthetics in ventilated patients are critical as any cofactor hampering diaphragmatic function may have a negative impact on the weaning progress and therefore on patients’ mortality. Dexmedetomidine may display antioxidant and antiproteolytic properties, but it also reduced glucose uptake by the muscle, which may impair diaphragm force production. This study tested the hypothesis that dexmedetomidine could inhibit ventilator-induced diaphragmatic dysfunction. Methods: Twenty-four rats were separated into three groups (n = 8/group). Two groups were mechanically ventilated during either dexmedetomidine or pentobarbital exposure for 24 h, referred to as interventional groups. A third group of directly euthanized rats served as control. Force generation, fiber dimensions, proteolysis markers, protein oxidation and lipid peroxidation, calcium homeostasis markers, and glucose transporter–4 (Glut-4) translocation were measured in the diaphragm. Results: Diaphragm force, corrected for cross-sectional area, was significantly decreased in both interventional groups compared to controls and was significantly lower with dexmedetomidine compared to pentobarbital (e.g., 100 Hz: –18%, P < 0.0001). In contrast to pentobarbital, dexmedetomidine did not lead to diaphragmatic atrophy, but it induced more protein oxidation (200% vs. 73% in pentobarbital, P = 0.0015), induced less upregulation of muscle atrophy F-box (149% vs. 374% in pentobarbital, P < 0.001) and impaired Glut-4 translocation (–73%, P < 0.0005). It activated autophagy, the calcium-dependent proteases, and caused lipid peroxidation similarly to pentobarbital. Conclusions: Twenty-four hours of mechanical ventilation during dexmedetomidine sedation led to a worsening of ventilation-induced diaphragm dysfunction, possibly through impaired Glut-4 translocation. Although dexmedetomidine prevented diaphragmatic fiber atrophy, it did not inhibit oxidative stress and activation of the proteolytic pathways. Lidocaïne IV contre les NVPO chez l’enfant ? BACKGROUND Postoperative vomiting (POV) is a frequent complication of tonsillectomy in children. In adult patients undergoing abdominal surgeries, the use of intravenous lidocaine infusion can prevent POV. OBJECTIVE To evaluate the anti-emetic effect of an intravenous lidocaine infusion used as an adjuvant to general anaesthesia, in children undergoing elective ear, nose and throat surgery. DESIGN Double-blind, randomised, controlled study. SETTING Hospital-based, single-centre study in Chile. PATIENTS ASA I-II children, aged 2 to 12 years, scheduled for elective tonsillectomy. INTERVENTION We standardised the induction and maintenance of anaesthesia. Patients were randomly allocated to lidocaine (1.5 mg kg−1 intravenous lidocaine over 5 min followed by 2 mg kg−1 h−1) or 0.9% saline (at the same rate and volume). Infusions were continued until the end of the surgery. MAIN OUTCOME MEASURES Presence of at least one episode of vomiting, retching or both in the first 24 h postoperatively (POV). SECONDARY OUTCOMES Plasma concentrations of lidocaine and postoperative pain. RESULTS Ninety-two children were enrolled. Primary outcome data were available for 91. In the Lidocaine group, 28 of 46 patients (60.8%) experienced POV, compared with 37 of 45 patients (82.2%) in the Saline group [difference in proportions 21.3% (95% confidence interval (CI) 2.8 to 38.8), P = 0.024]. The intention-to-treat analysis showed that when we assumed that the patient in the Saline group lost to follow-up did not have POV, the difference in proportions decreased to 19.6% (95% CI, 0.9 to 37.2), with an unadjusted odds ratio of 0.38 (95% CI, 0.15 to 0.97, P = 0.044). The odds of having POV were 62% less likely in those patients receiving lidocaine compared with patients in the Saline group. The mean lidocaine plasma concentration was 3.91 μg ml−1 (range: 0.87 to 4.88). CONCLUSION Using an intravenous lidocaine infusion as an adjuvant to general anaesthesia decreased POV in children undergoing elective tonsillectomy. Arrêt du tabac : impact de la durée sur la mortalité post-opératoire ? BACKGROUND Preoperative smoking cessation is commonly advised in an effort to improve postoperative outcomes. However, it remains unclear for how long smoking cessation is necessary, and even whether a brief preoperative period of abstinence is helpful and well tolerated. OBJECTIVE We evaluated associations between various periods of preoperative smoking cessation and major morbidity and death. SETTING Adults who had noncardiac surgery at the Cleveland Clinic Main Campus between May 2007 and December 2013. PATIENTS A total of 37 511 patients whose smoking history was identified from a preoperative Health Quest questionnaire. Of these patients, 26 269 (70%) were former smokers and 11 242 (30%) were current smokers. Of the current smokers, 9482 (84%) were propensity matched with 9482 former smokers (36%). We excluded patients with American Society of Anesthesiologists’ physical status exceeding four, patients who did not have general anaesthesia, and patients with missing outcomes and/or covariables. When multiple procedures were performed within the study period, only the first operation for each patient was included in the analysis. MAIN OUTCOME MEASURES The relationship between smoking cessation and in-hospital morbidity/mortality. RESULTS The incidence of the primary composite of in-hospital morbidity/mortality was 6.9% (656/9482) for all former smokers; the incidence was 7.8% (152/1951) for patients who stopped smoking less than 1 year before surgery, 6.3% (118/1977) for 1 to 5 years, 7.2% (115/1596) for 5 to 10 years and 6.9% (271/3457) for more than 10 years. CONCLUSION Smoking cessation was associated with reduced in-hospital morbidity and mortality which was independent of cessation interval. Prédire la mortalité d’un sepsis par le Machine Learning ? Objectives: Sepsis is among the leading causes of morbidity, mortality, and cost overruns in critically ill patients. Early intervention with antibiotics improves survival in septic patients. However, no clinically validated system exists for real-time prediction of sepsis onset. We aimed to develop and validate an Artificial Intelligence Sepsis Expert algorithm for early prediction of sepsis. Setting: Academic medical center from January 2013 to December 2015. Patients: Over 31,000 admissions to the ICUs at two Emory University hospitals (development cohort), in addition to over 52,000 ICU patients from the publicly available Medical Information Mart for Intensive Care-III ICU database (validation cohort). Patients who met the Third International Consensus Definitions for Sepsis (Sepsis-3) prior to or within 4 hours of their ICU admission were excluded, resulting in roughly 27,000 and 42,000 patients within our development and validation cohorts, respectively. Measurements and Main Results: High-resolution vital signs time series and electronic medical record data were extracted. A set of 65 features (variables) were calculated on hourly basis and passed to the Artificial Intelligence Sepsis Expert algorithm to predict onset of sepsis in the proceeding T hours (where T = 12, 8, 6, or 4). Artificial Intelligence Sepsis Expert was used to predict onset of sepsis in the proceeding T hours and to produce a list of the most significant contributing factors. For the 12-, 8-, 6-, and 4-hour ahead prediction of sepsis, Artificial Intelligence Sepsis Expert achieved area under the receiver operating characteristic in the range of 0.83–0.85. Performance of the Artificial Intelligence Sepsis Expert on the development and validation cohorts was indistinguishable. Conclusions: Using data available in the ICU in real-time, Artificial Intelligence Sepsis Expert can accurately predict the onset of sepsis in an ICU patient 4–12 hours prior to clinical recognition. A prospective study is necessary to determine the clinical utility of the proposed sepsis prediction model. Immunodépression post-sepsis des patients en réa : Impact ? Background: Many sepsis survivors develop chronic critical illness (CCI) and are assumed to be immunosuppressed, but there is limited clinical evidence to support this. We sought to determine whether the incidence of secondary infections and immunosuppressive biomarker profiles of patients with CCI differ from those with rapid recovery (RAP) after sepsis. Methods: This prospective observational study evaluated 88 critically ill patients with sepsis and 20 healthy controls. Cohorts were defined based on clinical trajectory (early death, RAP, or CCI), whereas immunosuppression was clinically determined by the presence of a postsepsis secondary infection. Serial blood samples were collected for absolute lymphocyte counts (ALCs), monocytic human leukocyte antigen-DR (mHLA-DR) expression, and plasma-soluble programmed death-ligand 1 (sPD-L1) concentrations. Results: Of the 88 patients with sepsis, 3 (3%) died within 14 days of sepsis onset, 50 (57%) experienced RAP, and 35 (40%) developed CCI. Compared with RAP patients, CCI patients exhibited a higher incidence and overall number of infections adjusted for hospital length of stay. ALC and mHLA-DR levels were dramatically reduced at the time of sepsis diagnosis when compared with healthy controls, whereas sPD-L1 concentrations were significantly elevated. There were no differences between RAP and CCI patients in ALC, sPD-L1, or mHLA-DR at the time of diagnosis or within 24 h after sepsis diagnosis. However, in contrast to the RAP group, CCI patients failed to exhibit any trend toward restoration of normal values of ALC, HLA-DR, and sPD-L1. Conclusions: Septic patients demonstrate clinical and biological evidence to suggest they are immunosuppressed at the time of sepsis diagnosis. Those who develop CCI have a greater incidence of secondary infections and persistently aberrant markers of impaired host immunity, although measurements at the time of sepsis onset did not distinguish between subjects with RAP and CCI. Identification d’un germe dans le choc septique : NS sur les outcomes ? Objectives: To determine the clinical characteristics and outcomes of culture-negative septic shock in comparison with culture-positive septic shock. Design: Retrospective nested cohort study. Setting: ICUs of 28 academic and community hospitals in three countries between 1997 and 2010. Subjects: Patients with culture-negative septic shock and culture-positive septic shock derived from a trinational (n = 8,670) database of patients with septic shock. Measurements and Main Results: Patients with culture-negative septic shock (n = 2,651; 30.6%) and culture-positive septic shock (n = 6,019; 69.4%) were identified. Culture-negative septic shock compared with culture-positive septic shock patients experienced similar ICU survival (58.3% vs 59.5%; p = 0.276) and overall hospital survival (47.3% vs 47.1%; p = 0.976). Severity of illness was similar between culture-negative septic shock and culture-positive septic shock groups ([mean and SD Acute Physiology and Chronic Health Evaluation II, 25.7 ± 8.3 vs 25.7 ± 8.1]; p = 0.723) as were serum lactate levels (3.0 [interquartile range, 1.7–6.1] vs 3.2 mmol/L [interquartile range, 1.8–5.9 mmol/L]; p = 0.366). As delays in the administration of appropriate antimicrobial therapy after the onset of hypotension increased, patients in both groups experienced congruent increases in overall hospital mortality: culture-negative septic shock (odds ratio, 1.56; 95% CI [1.47–1.66]; p < 0.0001) and culture-positive septic shock (odds ratio, 1.65; 95% CI [1.59–1.71]; p < 0.0001). Conclusions: Patients with culture-negative septic shock behave similarly to those with culture-positive septic shock in nearly all respects; early appropriate antimicrobial therapy appears to improve mortality. Early recognition and eradication of infection is the most obvious effective strategy to improve hospital survival. Objective: Predictors of long-term functional impairment in acute respiratory failure of all causes are poorly understood. Our objective was to assess the frequency and predictors of long-term functional impairment or death after invasive mechanical ventilation for acute respiratory failure of all causes. Design: Population-based, observational cohort study. Setting: Eight adult ICUs of a single center. Patients: All adult patients from Olmsted County, Minnesota, without baseline functional impairment who received mechanical ventilation in ICUs for acute respiratory failure of all causes from 2005 through 2009. Measurements and Main Results: In total, 743 patients without baseline functional impairment received mechanical ventilation in the ICU. At 1- and 5-year follow-up, the rates of survival with return to baseline functional ability were 61% (366/597) and 53% (356/669). Among 71 patients with new functional impairment at 1 year, 55% (39/71) had recovered and were alive without functional impairment at 5 years. Factors predictive of new functional impairment or death at 1 year were age, comorbidities, discharge to other than home, mechanical ventilation of 7 days or longer, and stroke. Of factors known at the time of intubation, the following are predictive of new functional impairment or death: age, comorbidities, nonsurgical condition, Acute Physiology and Chronic Health Evaluation III score, stroke, and sepsis. Post hoc sensitivity analyses revealed no significant change in predictor variables in patient populations when stroke was excluded or who received more than 48 hours of mechanical ventilation. Conclusions: At 1- and 5-year follow-up, many patients who received mechanical ventilation for acute respiratory failure from all causes are no longer alive or have new moderate-to-severe functional impairment. Functional recovery between year 1 and year 5 is possible and common. Sepsis, stroke, illness severity, age, and comorbidities predict long-term functional outcome at intubation. Objectives: To determine the prevalence of and risk factors for cardiac arrest during intubation in ICU, as well as the association of ICU intubation–related cardiac arrest with 28-day mortality. Design: Retrospective analysis of prospectively collected data. Patients: Critically ill patients requiring intubation in the ICU. Measurements and Main Results: During the 1,847 intubation procedures included, 49 cardiac arrests (2.7%) occurred, including 14 without return of spontaneous circulation (28.6%) and 35 with return of spontaneous circulation (71.4%). In multivariate analysis, the main predictors of intubation-related cardiac arrest were arterial hypotension (systolic blood pressure < 90 mm Hg) prior to intubation (odds ratio = 3.406 [1.797–6.454]; p = 0.0002), hypoxemia prior to intubation (odds ratio = 3.991 [2.101–7.583]; p < 0.0001), absence of preoxygenation (odds ratio = 3.584 [1.287–9.985]; p = 0.0146), overweight/obesity (body mass index > 25 kg/m2; odds ratio = 2.005 [1.017–3.951]; p = 0.0445), and age more than 75 years old (odds ratio = 2.251 [1.080–4.678]; p = 0.0297). Overall 28-day mortality rate was 31.2% (577/1,847) and was significantly higher in patients who experienced intubation-related cardiac arrest than in noncardiac arrest patients (73.5% vs 30.1%; p < 0.001). After multivariate analysis, intubation-related cardiac arrest was an independent risk factor for 28-day mortality (hazard ratio = 3.9 [2.4–6.3]; p < 0.0001). Conclusions: ICU intubation–related cardiac arrest occurs in one of 40 procedures with high immediate and 28-day mortality. We identified five independent risk factors for cardiac arrest, three of which are modifiable, possibly to decrease intubation-related cardiac arrest prevalence and 28-day ICU mortality. Prédire une mauvaise récupération neurologique après AVC hémorragique : Importance des premières 24h ? Objectives: There are limited data as to what degree of early neurologic change best relates to outcome in acute intracerebral hemorrhage. We aimed to derive and validate a threshold for early postintracerebral hemorrhage change that best predicts 90-day outcomes. Design: Derivation: retrospective analysis of collated clinical stroke trial data (Virtual International Stroke Trials Archive). Validation: retrospective analysis of a prospective multicenter cohort study (Prediction of haematoma growth and outcome in patients with intracerebral haemorrhage using the CT-angiography spot sign [PREDICT]). Patients: Patients with acute intracerebral hemorrhage presenting less than 6 hours. Derivation: 552 patients; validation: 275 patients. Measurements and Main Results: We generated a receiver operating characteristic curve for the association between 24-hour National Institutes of Health Stroke Scale change and clinical outcome. The primary outcome was a modified Rankin Scale score of 4–6 at 90 days; secondary outcomes were other modified Rankin Scale score ranges (modified Rankin Scale, 2–6, 3–6, 5–6, 6). We employed Youden’s J Index to select optimal cut points and calculated sensitivity, specificity, and predictive values. We determined independent predictors via multivariable logistic regression. The derived definitions were validated in the PREDICT cohort. Twenty-four–hour National Institutes of Health Stroke Scale change was strongly associated with 90-day outcome with an area under the receiver operating characteristic curve of 0.75. Youden’s method showed an optimum cut point at –0.5, corresponding to National Institutes of Health Stroke Scale change of greater than or equal to 0 (a lack of clinical improvement), which was seen in 46%. Early neurologic change accurately predicted poor outcome when defined as greater than or equal to 0 (sensitivity, 65%; specificity, 73%; positive predictive value, 70%; adjusted odds ratio, 5.05 [CI, 3.25–7.85]) or greater than or equal to 4 (sensitivity, 19%; specificity, 98%; positive predictive value, 91%; adjusted odds ratio, 12.24 [CI, 4.08–36.66]). All definitions reproduced well in the validation cohort. Conclusions: Lack of clinical improvement at 24 hours robustly predicted poor outcome and showed good discrimination for individual patients who would do poorly. These findings are useful for prognostication and may also present as a potential early surrogate outcome for future intracerebral hemorrhage treatment trials. Mortalité des obèses hospitalisés pour raisons médicales plus élevée que pour des raisons chirurgicales ? Objectives: To determine the short- and long-term mortality of obese ICU patients following medical as opposed to surgical admission and the relation between obesity and mortality. Design: Retrospective analysis of prospectively collected data, using a propensity score–matched analysis of patients with medical or surgical admission. Setting: One French mixed medical-surgical ICU. Patients: Critically ill obese patients (body mass index ≥ 30 kg/m2) and nonobese patients admitted during a 14-year period. Measurements and Main Results: Seven-hundred ninety-one obese patients and 4,644 nonobese patients were included, 338 (43%) and 2,367 (51%) medical and 453 (57%) and 2,277 (49%) surgical obese and nonobese patients, respectively. Mortality was significantly higher in medical than in surgical obese patients in ICU (25% vs 12%; p < 0.001) and up to 365 days (36% vs 18%; p < 0.001) post ICU admission. One-to-one propensity score matching generated 260 pairs with well-balanced baseline characteristics. After matching on propensity score, mortality was still significantly higher in medical patients both in the ICU (21% vs 13%; p = 0.03) and up to 365 days (30% vs 20%; p = 0.01) post ICU admission. Obesity was not significantly associated with mortality both in univariate analysis (140 obese patients [15%] in the dead group vs 651 [14%] in the alive group; p = 0.72) and multivariate analysis (odds ratio, 1.09 [95% CI, 0.86–1.38]; p = 0.49) after adjustment for Simplified Acute Physiology Score II, age, category of admission, history of cardiac disease, and history of respiratory disease. Conclusions: After careful matching, the data suggest that ICU mortality in obese population was higher in the medical group than in the surgical group and remains significantly higher 365 days post ICU admission. Concept de driving pressure utilisable chez les patients qui n’ont pas de SDRA ? Background: Driving pressure has been proposed as a major determinant of outcome in patients with acute respiratory distress syndrome (ARDS), but there is little data examining the association between pulmonary mechanics, including driving pressure, and outcomes in mechanically ventilated patients without ARDS. Methods: Secondary analysis from 1,705 mechanically ventilated patients enrolled in a clinical study that examined outcomes associated with the use of early lung-protective mechanical ventilation. The primary outcome was mortality and the secondary outcome was the incidence of ARDS. Multivariable models were constructed to: define the association between pulmonary mechanics (driving pressure, plateau pressure, and compliance) and mortality; and evaluate if driving pressure contributed information beyond that provided by other pulmonary mechanics. Results: The mortality rate for the entire cohort was 26.0%. Compared with survivors, non-survivors had significantly higher driving pressure [15.9 (5.4) vs. 14.9 (4.4), P = 0.005] and plateau pressure [21.4 (5.7) vs. 20.4 (4.6), P = 0.001]. Driving pressure was independently associated with mortality [adjusted OR, 1.04 (1.01–1.07)]. Models related to plateau pressure also revealed an independent association with mortality, with similar effect size and interval estimates as driving pressure. There were 152 patients who progressed to ARDS (8.9%). Along with driving pressure and plateau pressure, mechanical power [adjusted OR, 1.03 (1.00–1.06)] was also independently associated with ARDS development. Conclusions: In mechanically ventilated patients, driving pressure and plateau pressure are risk factors for mortality and ARDS, and provide similar information. Mechanical power is also a risk factor for ARDS. Machine learning pour prédire l’outcome des traumas ?